Kaun banega crorepati questions answers - Here we are sharing with you the Koan Banega Crorepati objective multi-choice question and answers that can grow your general knowledge and at the same time you can experience playing kbc with give the right answer for the question. kaun banega crorepati questions answers in hindi season 9 (2017) - Here we are sharing with you the Koan Banega Crorepati objective multi-choice question and answers of season 9 (2017) that can grow your general knowledge and at the same time you can experience playing kbc with give the right answer for the question. 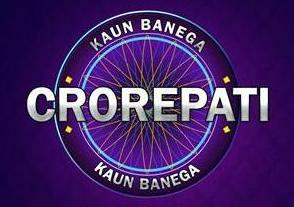 Kaun banega crorepati questions and answers season 8 - Here we are sharing with you the Koan Banega Crorepati objective multi-choice question and answers season 8 (2015) that can grow your general knowledge and at the same time you can experience playing kbc with give the right answer for the question. Kaun banega crorepati 2018 questions and answers quiz season 10 - Here we are sharing with you the Koan Banega Crorepati (KBC) objective multi-choice question and answers season 10 (2018) that can grow your general knowledge and at the same time you can experience playing kbc with give the right answer for the question.